Born at Morpeth, Kent County, Ontario on 19 June 1853, son of Duncan and Elizabeth Campbell, he was educated at local public Schools, Woodstock College, and Osgoode Hall. He was called to the Ontario Bar in 1878 and, after coming to Winnipeg in 1882, was called to the Manitoba Bar (1882) and North-West Territories Bar (1889). He formed a law partnership with John S. Hough that was the genesis of present-day Thompson Dorfman Sweatman. 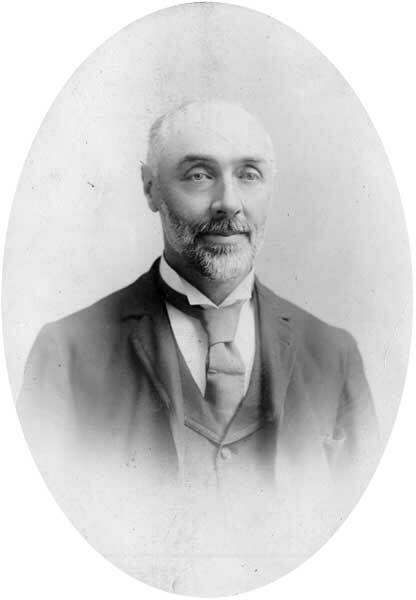 He was the City Solicitor for Winnipeg from 1888 to 1906. He was made a Queen’s Counsel in 1890. Because of his oratorical skills he was known as “the people’s Isaac.” He served as President of the Law Society of Manitoba (1891 to 1898), President of the Manitoba Bar Association (1891), and as Vice-President of the Canadian Bar Association (1914). His contemporaries regarded him as one of the leading lawyers of his generation. Active in politics, he was elected to the Manitoba Legislature for South Winnipeg at the 1888 general election and served until 1891, when he ran unsuccessfully for a seat in the House of Commons, being defeated by Hugh John Macdonald. On 1 August 1908, he married Mary Bell Taylor Niles. They had no children. He served as a Director of the Winnipeg General Hospital, and was a member of the Manitoba Club, Carleton Club, and St. Charles Country Club. He died at his Winnipeg home, 586 River Avenue, on 13 August 1929 on was buried in the Old Kildonan Cemetery. “Isaac Campbell, K.C., is called by death”, Manitoba Free Press, 13 August 1929, page 1. Manitoba Legislative Library, Biographical Scrapbook B8, pages 203-204, Obituary - I. Campbell. Manitoba Legislative Library, Vertical file - I. Campbell.